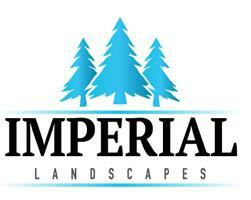 Imperial Landscapes - Driveways/Patios/Paths, Landscaper based in Wallington, Surrey. Imperial Landscapes is an RHS Gold Medal winning professional garden design and construction company based in Surrey. With over 17 years of experience in landscape gardening, we have built up a reputation in the local area and beyond, as being friendly and professional, with a keen eye for details and aesthetics, our promise is to always work with you towards your vision. We will look to advise you on the most practical solutions with all our experience at your disposal. Whether you are considering a small-scale project such as raised planting beds or a larger job such as the creation of an entire garden, we will approach the task with the same commitment to quality and service. We offer you an initial consultation and estimate free of charge.